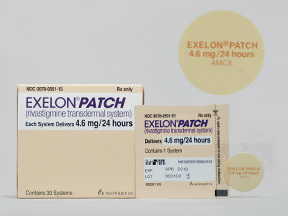 The US Food and Drug Administration has approved an expanded indication for the rivastigmine transdermal system (Exelon Patch, Novartis Pharmaceuticals Corporation) to include patients with severe disease. Approval of this new indication for the 13.3 mg/24h dose rivastigmine patch means it can be used across all stages of disease, making it the only transdermal therapy that can be used across all stages of disease, the company notes in a statement. The patch is already approved for patients with mild to moderate dementia of the Alzheimer's type and for patients with mild to moderate dementia associated with Parkinson's disease. The approval in severe AD was based on the ACTION (ACTivities of Daily Living and CognitION in Patients with Severe Dementia of the Alzheimer's Type) study, a randomized, double-blind trial comparing the 13.3 mg/24h dose patch with the lower 4.6 mg/24h dose. The higher-dose patch demonstrated statistically significant improvement in overall cognition and function in severe AD patients at week 24, as assessed by measures of cognition and daily function using the Severe Impairment Battery (SIB) and the Alzheimer's Disease Cooperative Study–Activities of Daily Living–Severe Impairment Version (ADCS-ADL-SIV), respectively. The most common adverse reactions included application site erythema, fall, insomnia, vomiting, diarrhea, weight loss, and nausea, and these were seen in a higher percentage of patients treated with the 13.3 mg/24h dose. 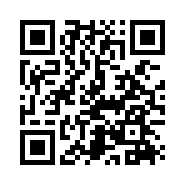 Full information is available at Exelon Patch Full Prescribing Information and Exelon Patch Patient Product Information.